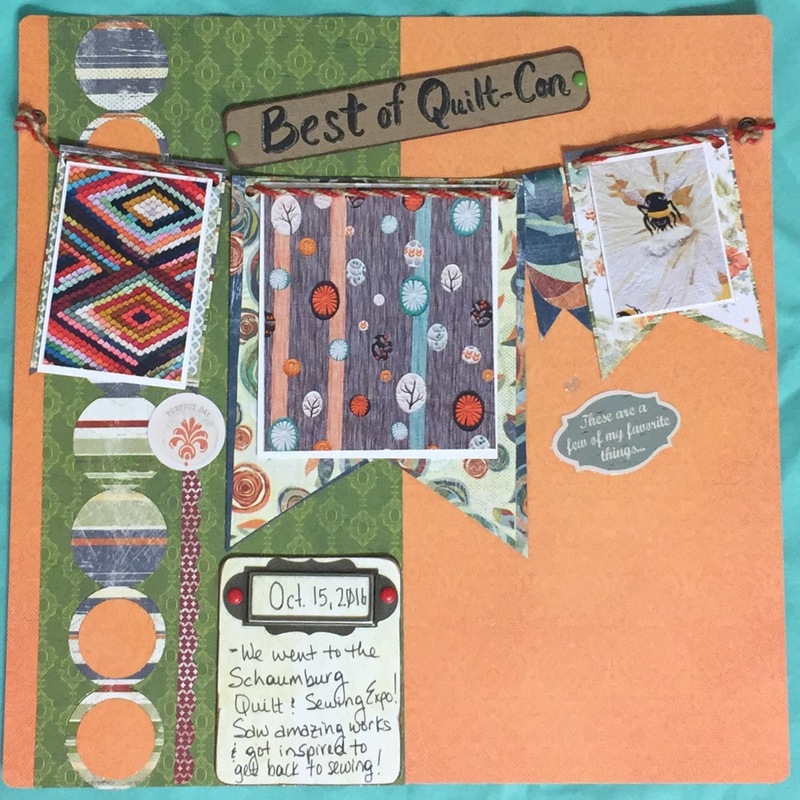 Hi everyone, Gabriela here today with a page using Club Q for this month with some help from my Xyron supplies. 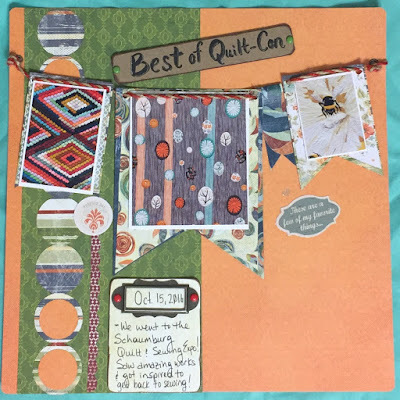 I made this page a banner page because of the adorable twine included in this month's Club Q. I also attended a quilt show this past weekend and decided to "hang" some of my favorites from the show on the banner. I started by choosing my 3 favorite pictures from the show and then built the page around that idea. I hope you enjoyed the video and you're inspired to make a banner page of your own.